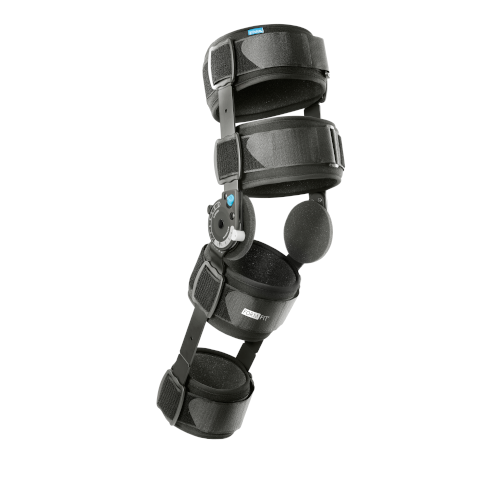 Formfit Post-Op Knee provides range of motion control and immobilization following injury or surgery. Length adjustment is tool free and easy. The low profile ROM hinge can be adjusted with a simple pull, rotate and release motion. Wide range of flexion and extension settings allow you to choose the optimal range of motion. Formfit Post-Op Knee Instructions for use - Formfit Post-Op Knee 16"
Formfit Post-Op Knee Instructions for use - Formfit Post-Op Knee 24"
Formfit Post-Op Knee Instructions for use - Formfit Post-Op Knee 28"